Why is AG Barr really asserting the state secrets privilege—for We the People or the State? Attorney General William Barr has asserted the state secrets privilege for the first known time since he was sworn in last month, using the controversial legal tool in a lawsuit brought by the social media company Twitter over its bid to publish a more complete account of government surveillance requests. Barr filed a formal declaration invoking the privilege Friday night with a federal judge in Oakland, Calif. who has been handling the suit Twitter filed more than four years ago. In the case, the company contends its First Amendment rights are being violated by the government’s refusal to allow the firm to publish more detailed statistics on National Security Letters and surveillance orders the firm receives under the Foreign Intelligence Surveillance Act. U.S. District Court Judge Yvonne Rogers is considering giving Twitter’s attorneys access to a top-secret declaration a top FBI official filed in 2016 describing the harms that could ensue if the firm was able to be more specific about the U.S. surveillance requests. Barr said the Justice Department will not to give the lawyers access to the classified statement from former Executive Assistant Director Michael Steinbach. Should the judge insist that the Twitter attorneys have access, the government will shut the litigation down via the state secrets privilege, a legal mechanism to limit or end litigation that could impact U.S. national security, the attorney general said. “After careful and actual personal consideration of the matter, I have concluded that disclosure of the four categories of information described below…could reasonably be expected to cause significant harm to the national security,” Barr wrote. “The detailed, comprehensive and highly classified information in EAD Steinbach’s declaration was intended solely for the Court’s ex parte, in camera review, and the disclosure of this information to private counsel in civil actions such as this reasonably could be expected to risk or result in inadvertent, involuntary, or intentional disclosures that could cause serious, or in some cases, exceptionally grave damage to national security,” Barr added in the declaration, which he signed and dated Friday. A spokesman for Twitter declined to comment Sunday on the development. Use of the state secrets privilege to impede and even shut down litigation in national security-related cases became the subject of sharp criticism in legal circles under President George W. Bush’s administration, as it sought to ward off a series of post-9/11 cases. Candidate Barack Obama vowed reforms and, after his election, the Justice Department instituted a more elaborate procedure for reviewing state-secrets assertions. Barr’s new declaration says he considered the Twitter issue in accord with guidance Attorney General Eric Holder issued in 2009 and determined that the case met those standards. 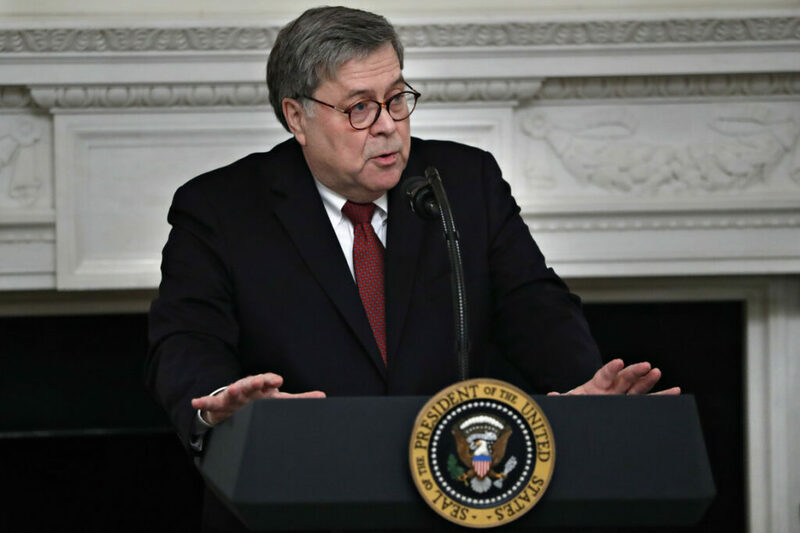 While Barr’s declaration appears to be his first state-secrets assertion in his current tenure as attorney generals, the privilege has been deployed on several other occasions under President Donald Trump. In March 2017, CIA Director Mike Pompeo invoked the state-secrets privilege in a lawsuit brought against two psychologists by men held as detainees at a CIA-run facility in Afghanistan. The suit alleged that the psychologists designed a program used to torture the men. The government was not a defendant in the case, but the privilege was invoked block access to testimony from the CIA. The suit was eventually settled. In April 2018, Attorney General Jeff Sessions wielded the state-secrets privilege in a lawsuit over terror watchlists that have blocked some Muslim Americans from air travel to the U.S. The suit is is still pending. And in May 2018, Sessions again used the privilege in a suit over the National Security Agency’s use of so-called upstream collection to monitor internet traffic as it passes through massive switches and cables. That case is also pending.